Brakes started a high pitch squeal shortly after passing 9,000 miles. Took it Hinshaw Acura and was told it was brake dust. Left the car and when we picked it up, the squeal started as we pulled out of the dealership. Took it back since several times. The service manager has gone from telling us it is brake dust to saying they changed the brakes and rotors (not really sure they did). Brakes still have a high pitch squeal on soft braking that is maddening. Have taken the vehicle back, but now the service department treats us like we are crazy. Friends and family riding in the RDX have all commented on the squeal, so it's not our imagination. 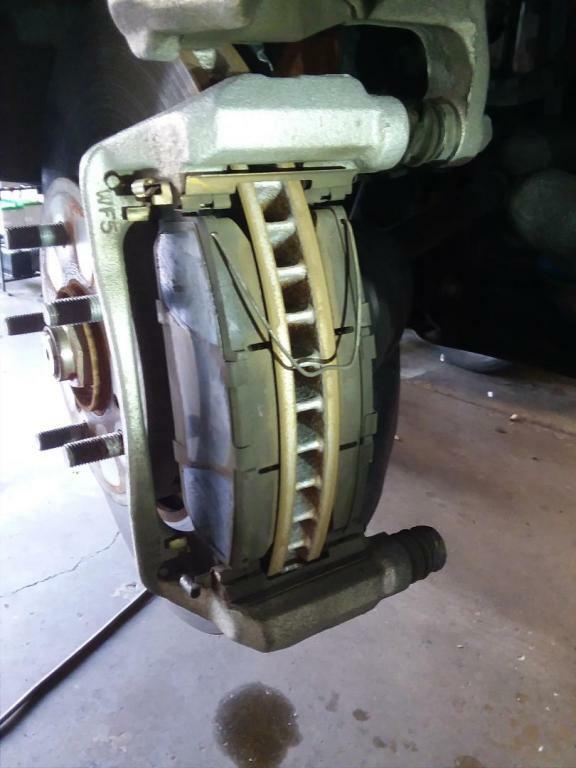 At this point, I think the dealer is just waiting for the warranty to run out before they say "You need a brake repair." which of course, will come out of our pocket. Damn shame we have to drive a luxury vehicle that sounds like a city bus at every stop light! Good for you Acura for such service! Acura has posted a paper saying that the brake squealing known as "riding the brakes" is a known and normal characteristic for the 2016 RDX. It occurs when you are sitting in traffic (every day in Dallas) and are lightly applying the brakes allowing for the car to continue to roll forward. NORMAL?? Acura, is it NORMAL for people to stare at you in traffic because your brakes are squeaking so loudly everyone can hear it. And this is DAILY. I bought this car with 5K miles on it and mentioned it on the very first oil change to the service manager who failed to tell me this was NORMAL for my car and I would have to live with it. The shims are also messed up, though that problem apparently can be fixed at no charge while still under warranty. My service department told me they couldn't help me and even if I paid for new brakes myself, the noise would return. SUPER EMBARRASSING ON ANY CAR, MUCH LESS A "LUXURY" VEHICLE. One would think Acura wouldn't want that type of advertising for their cars every single day on the interstate. Bought car Dec 2016 around 17000 miles rough date Sept 2017 started squeaking. I took it to dealer they said they turned rotors. Stopped squeaking for a bit then started again. Took it back in again around 24000 miles they said they replaced rotors and break pad, again stopped for a little while. Decided to take it to Meineke, they looked at it and suggested replacing the factory semi metallic pads with ceramic. I took information back to dealer they said their pads not the problem. Wanted me to leave car so they could look at it again for third time . But after two tries and his unwillingness to maybe think about ceramic pads set appointment with Meineke. When I got to Meineke Tim showed me something very disturbing, The lower retainer clip on both sides was missing ( see pic ) which meant that when you let off brake the pads did not release from the rotor all the way. But the biggest concern is if those upper clips would have come loose we would have no brakes. When they were done putting new brakes and rotors on I went back to dealer and told them what was found they did not seem concerned at all, still waiting on service manager call it's been 4 days. I asked about getting reimbursed didn't sound like it was going to happen. I read a bulletin that I researched and found that this was an issue for several other customs with same results at dealer. So might have to spend own money to fix problem. So far no noise and drives amazing. Update from Jul 27, 2018: Contacted Acura Corp told them about issues they listened said they would pass it on to their engineers. Said they would not reimburse me for my cost, they did send me a $200 dollar card that can only be used at Acura or Honda. So they get their money back. Still no call from service manager or dealer manager. I will say my car sounds great no brake noise at all. Brake start making noise just before winter, so i thought it was the weather i ignore it until it was no longer winter and it is getting bad to embarrassing worst. it was the squealing when you apply soft brake to stop. my dealership 1st said in was brake dust so they said they give it a good clean. Problem persist until i can no long take it as it was so embarrassing enough people no turn their heads not because i drove a Acura, but due to loud noise. (makes acura looks bad,good!). had enough, got angry and show them a few video i recorded. And one of the boys finally admitted that they it quite a bit and offer to replace front brake and rotors. few month now so far so good. But with no longer drive consider a Acura for the next purchase! Brakes started a loud high pitched squeal after about 5,000 miles. Took the car into the dealership and they weren't able to replicate the problem so they couldn't fix it. Took the car back into the dealer since I continue to hear a loud high pitched brake squeal. They said there was a service bulletin and replaced the front two brakes. The brake noise does not go away. After the last front 2 brake replacement, the brake squeal noise level has gone done, but is still there at low speeds. The sounds occurs at certain brake pressures. Took the car back to the dealer again and they kept the car for 3 more days. I even took the car on a ride with the technician and they heard the sound. I get the car back and they said they cleaned the brakes and couldn't hear the sound anymore. Obviously after I drove it home I heard the noise. Not sure if the dealer is just incompetent, don't care, or just trying to get rid of me. Second time taking the car into the shop for loud high pitched brake squeal. The first time they couldn't replicate the sound so they couldn't fix it. Took the car into another Acura dealership in the area. Same issue, they can't replicate it. Told them the sound happens after I drive the car 30 min through stop and go traffic. Continued brake noise. Drove with the technician and replicated the sound. The shop decides to keep the car for 3-4 days. They end up replacing the front brakes again (second time). This fixed most of the sound but I continue to hear a high pitched brake squeal at low speeds, although quieter. I'm suspecting something is wrong with the rear brakes as well.